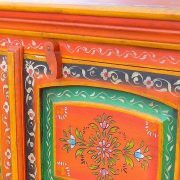 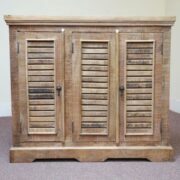 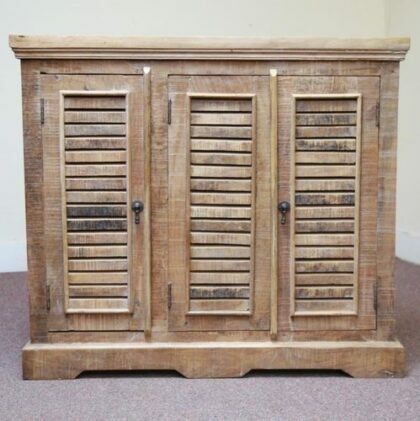 Mango wood sideboard with three shutter doors and a whitewash finish. 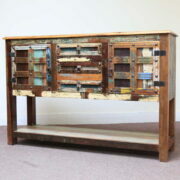 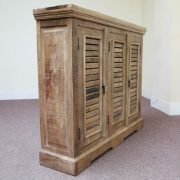 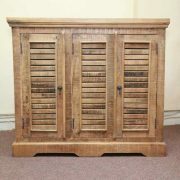 Newly made out of sustainable mango wood, this stylish neutral sideboard is a really subtly beautiful piece. The unit has three simple shutter doors, two of which, on the right hand side, are twin doors that open onto a larger cupboard. 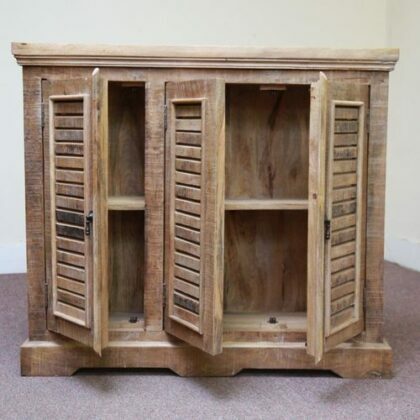 The left hand door opens singularly to reveal a smaller cupboard. 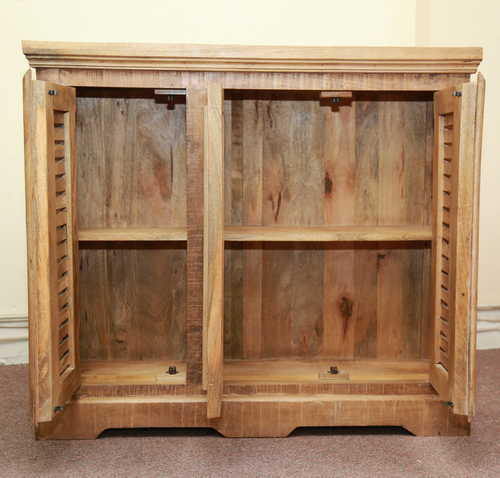 Both cupboards have one internal shelf that leaves two generous spaces for storage within. 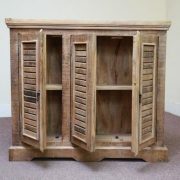 The finish of the piece is a subtle whitewash that compliments the beautiful yellowish grain typical of mango wood. 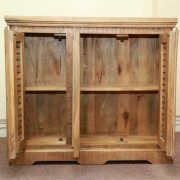 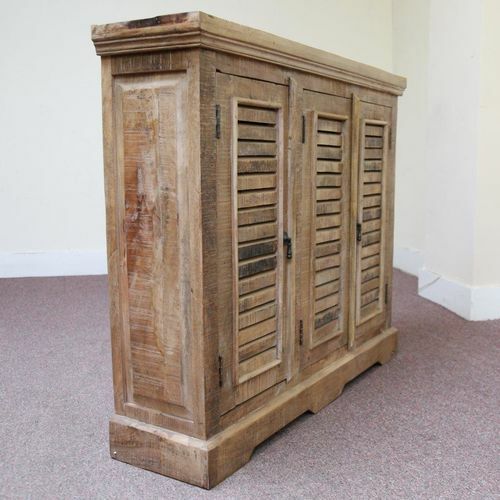 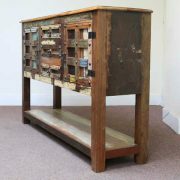 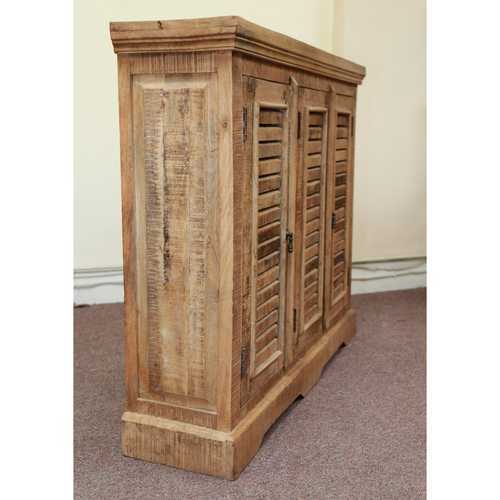 The piece has a thick hardwood top that is decoratively moulded around it’s edge, softening the lines of the piece which sits atop a sturdy wooden base. 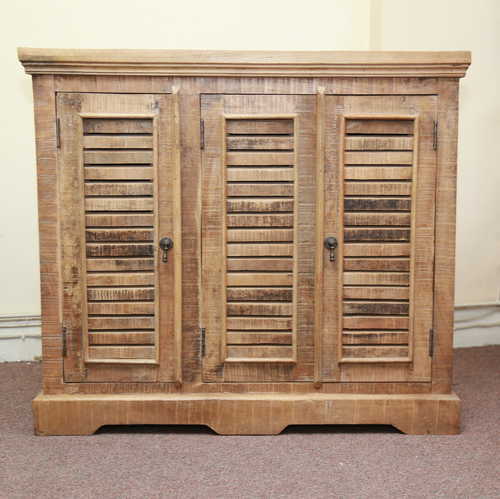 A simple yet eye-catching a practical piece, this sideboard would be perfect for your living room, dining room, hallway or landing.